"As part of the expanded Zune 80 availability plan we’ve set in place, we're featuring Zune 80 in the Zune Originals site starting today. I'm told the first order was placed at 3:38 AM PST." 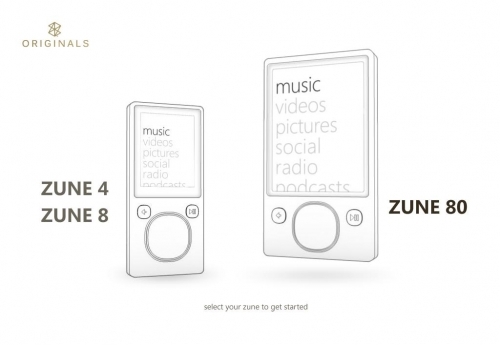 It seems Microsoft has finally come out of the Zune80 shortage woods, and is now allowing full customization through Zune Originals, featuring the full lineup of artwork and tattoos the 4s and 8s currently have, except slightly larger and wider to accommodate the 80's size ratio. Even though I already bought my 80, I don't regret not waiting. If you haven't picked one up yet, get to it!